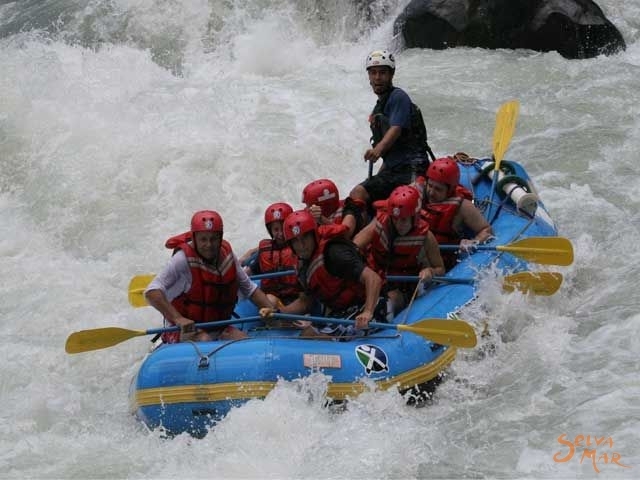 Reventazon River is some of the fastest and best 10 miles of Class III rapids you`ll ever paddle. Florida section. 10 miles. 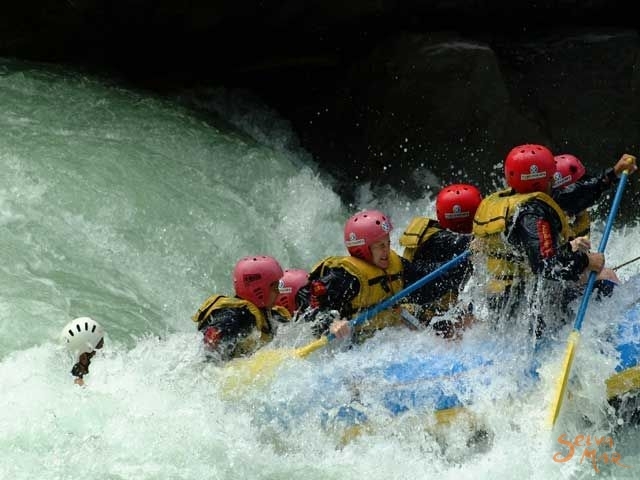 This section of the mighty Reventazon River is some of the fastest and best 10 miles of Class III rapids you`ll ever paddle. 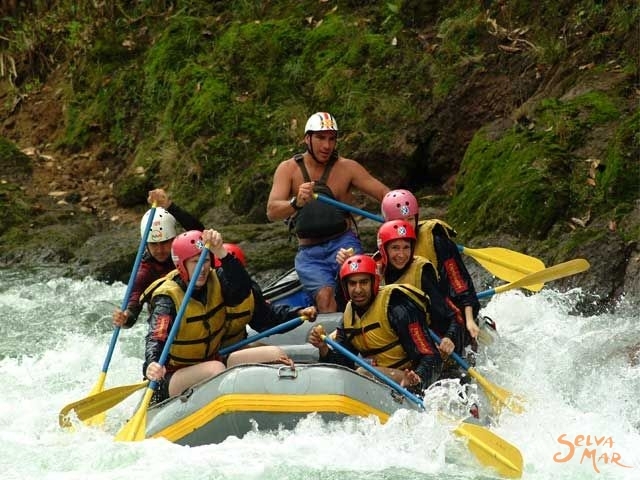 If you`re a first time or experienced paddler looking for the excitement of big waves, hydraulics, and stunning scenery, then this trip is for you. The drive from San Jose takes you through the impressive Braulio Carrillo National Park, pass rainforest and waterfalls across the Continental Divide to the Caribbean side of the country. At our Operations Center you will have breakfast, there are bathrooms, changing rooms and an area to buy last minute needs. After your safety orientation, the first rapid of the day will set the peace for more to come. As your raft rounds each new bend in this dam-controlled river, you`ll be greeted with yet another breathtaking view of the Reventazon Valley. Look for toucans, kingfishers, herons, tanagers, iguanas and bright green "Jesus Christ" lizzards. After a fun and exhilarating day of big waves, hydraulic and stunning scenery, you`ll fisish your trip with a stop at our Operations Center for a delicious hot lunch, showers, optional drinks and souvenir store before the return drive to San Jose. This one-day adventure is unforgettable.!! All tours include: comfortable round trip transportation from local hotels. A delicious breakfast and pic-nic style lunch are provided on all our trips. 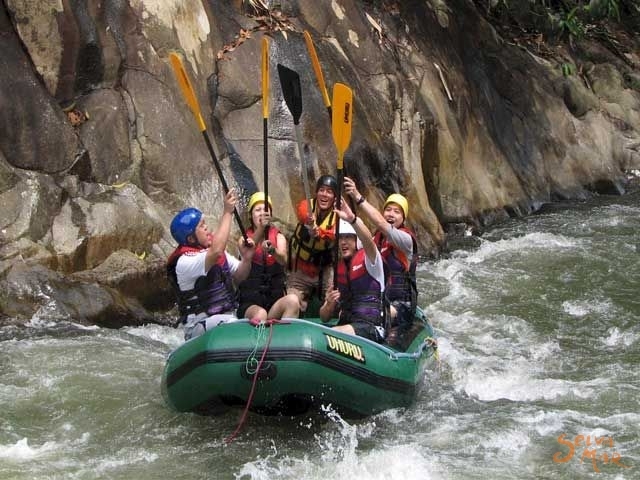 We use top-of-the-line rafting equipment on all of our excursions. Professional, friendy and bilingual guides will ensure your safety and enjoyment during your trip. # Rubber soled shoes that can get wet (tevas, tennis or similar). # Swimsuite and shorts of a quick-drying material. # Sun screen (spf-15 or higher). # Complete change of clothes for after rafting (including shoes).